Both the teams must be regretting remembering the previous leg as both the team could have won the games. Roma was dominant in the first half. However, they could do only one goal. Felipe’s deflected ball went to his own net in the 21st minute. 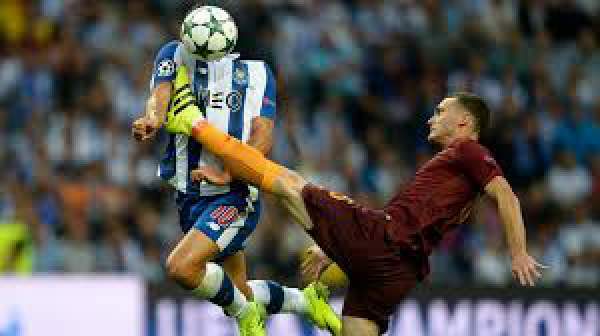 The fate of Roma altered when Thomas Vermaelen was sent off. The Italian side was left with just 10 men to play. It happened just four minutes before the halftime. It was the debut match for Thomas. Porto utilized the penalty of Andre Silva, but couldn’t go further to take a lead. The game ended in a tie. Now, it means that the game in the second leg can be won by either of the teams. Let’s see if Roma can get it into its favor as they are playing on the home ground. “With this match, we can enter in the most prestigious football competition in Europe,” Roma manager Luciano Spalleti told UEFA. “I am away from stress and players know the importance of this game. We will try to enjoy playing at home. We will show that we can win difficult games against a team like Porto who will try to score for sure. It is exactly what they need,” he added. Nuno Espirito, the manager of Porto team also seemed to be hopeful to win the match. He is optimistic even after the result of the first leg. “We need to qualify and for that, we have to play the game and refuse to give up. In the last match, we had chances. But leave what happened in the past and focus on future,” Santo said. “We know that we are playing away from home, and there will be a different atmosphere to what exists while playing at home,” he added. The second leg Champions League playoff is set to be played at 8.45 p.m. CET (12.15 a.m. IST next day) start. Portugal: TV: RTP 1 and Sports TV 1. UK: TV: BT Sport. Live Streaming: Watch BT Sport. USA: TV: Fox Sports 1. Live Streaming: Foxsoccer2go.